Forte is a luxury apartment development, superbly located in The Opera District, offering views over Dubai Opera, Opera Plaza and The Dubai Fountain. Situated in Dubai’s new cultural centre, Forte is a two-tower residential development, set apart by its distinctive location and aesthetic architecture which adds to the ambiance of The Opera District. The apartments overlook the iconic Dubai Opera, the 2,000- seat, multi-format, performing arts centre which is the centrepiece of The Opera District and host to opera, ballet, theatre, concerts, exhibitions and sport events. The Opera District is a stylish, new, arts destination located in Downtown Dubai and billed as the cultural hub of the region, bringing music and art to life. A ‘design masterpiece’, the district will be a new and exciting destination with its exclusively pedestrianized and animated streets. Forte is superbly located on Mohammed Bin Rashid Boulevard and forms part of The Opera District, offering an unprecedented life for its residents. 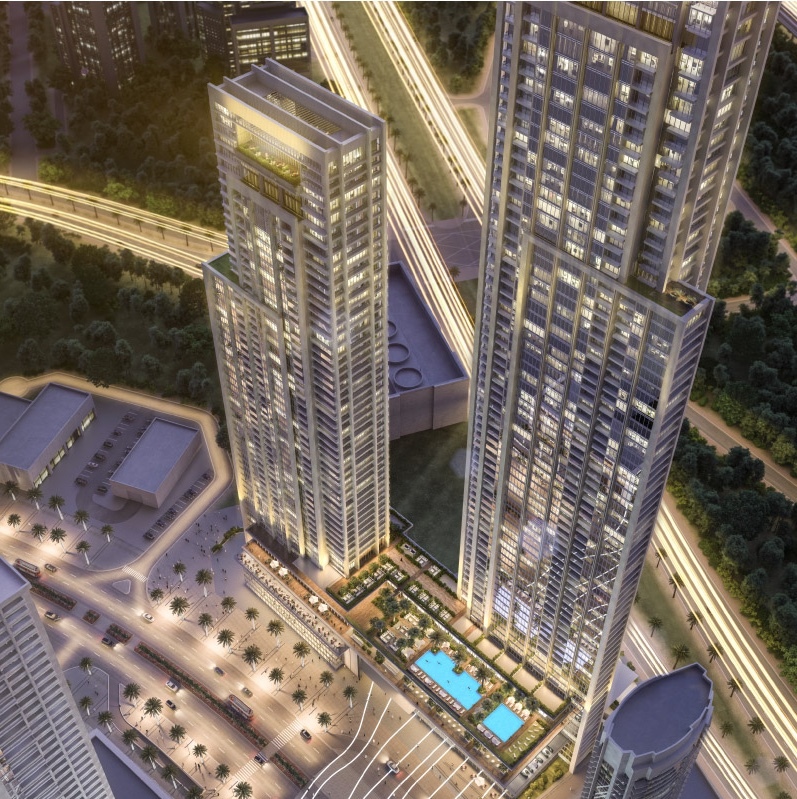 Forte comprises two towers, one 70 storeys and the other 50 storeys, offering 1 to 4 bedroom apartments. The six level podium features a range of retail and dining options as well as the unique Museum of Modern Art, bringing life, culture and art to the home.